Have you marked Saturday, Oct. 10 on your calendar yet? If not, you’ll be missing out on all the fun, family-friendly activities planned for the 9th Annual Child Safety Day. 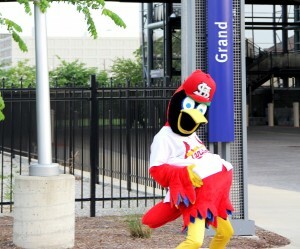 Oh, and did we mention the Cardinals very own Fredbird will be in attendance — and is riding MetroLink to get there? Yes, you heard right: you and your family can ride MetroLink with Fredbird to Child Safety Day! 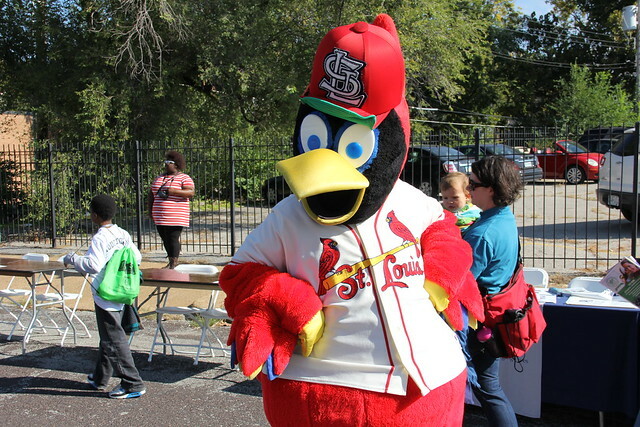 Fredbird will board a westbound train leaving the Grand MetroLink Station at 9:51 a.m. and ride to the Delmar Loop Station for Child Safety Day. Make sure you arrive on time at the Grand MetroLink Station, as Fredbird’s train will leave the station promptly at 9:51 a.m. Children four and under ride free on MetroLink, and adults and children five and older must have a valid Metro ticket or pass to ride MetroLink. Child Safety Day will take place between 10 a.m. and 2 p.m. at the intersection of Delmar Boulevard and Hodiamont Avenue, near the Delmar Loop MetroLink Station. The event is free to the public and includes information about how to stay safe on the street, safe in the car, safe on bicycles, safe around strangers, safe on the Internet and safe at home. The St. Louis Metropolitan Police Department, St. Louis Fire Department, St. Louis Cardinals, St. Louis Rams, Helmets First, Missouri Department of Health and Senior Services – Office of Minority Health are just a few of the many participants who are committed to keeping children safe.